. He initially joined Y&R New Zealand in 2011 as ECD. Jono Key, managing director Y&R New Zealand and Fleur Head, managing director Wellington, will now take on a dual leadership role. They will report into Y&R’s recently appointed regional CEO Pete Bosilkovski. Longtime executive leader and former CEO at WPP media agency GroupM, Irwin Gotlieb, is stepping down as global chairman. Gotlieb is moving into a senior advisory role at WPP. He has served as GroupM’s CEO from its 2003 founding until 2012, when he transitioned to the global chairman role. There have been several moves locally and globally within WPP this year, most recently with the overhaul of Y&R ANZ leadership and several exits at WhiteGrey. In response to ongoing scandal surrounding Facebook, CEO Mark Zuckerberg has revealed every advertiser who wants to run political issue ad will need to be verified. According to a statement made by Zuckerberg, to get verified advertisers will need to confirm their identity and location and any advertiser who doesn't pass will be prohibited from running political or issues-based ads. The ads must clearly label the organisation publishing them, which is common practice for political advertising on other forms of media. In order to ensure that pages and advertisers are verified, thousands of new employees would be hired. The company has also built a tool that lets anyone see all of the ads a political page is running. This is currently being tested in Canada. 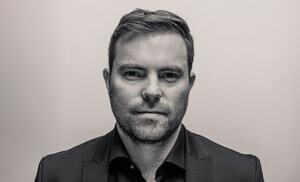 Josh Moore has resigned as the CEO of Y&R New Zealand and will leave the agency to “pursue a new opportunity”. Moore has been CEO of the agency since 2014, also taking on the regional CCO position when Ben Coulson exited in 2016. He initially joined Y&R New Zealand in 2011 as ECD. Jono Key, managing director Y&R New Zealand and Fleur Head, managing director Wellington, will now take on a dual leadership role. They will report into Y&R’s recently appointed regional CEO Pete Bosilkovski.